Believe it or not, getting a PhD takes up a lot of time. I haven’t updated in a while, but I’ve been, at least temporarily, broken out of my hiatus by two things: 1) I was in Berlin for a conference/workshop and came back with some German candy; and 2) I just received some free samples of U.S. Lindt products. 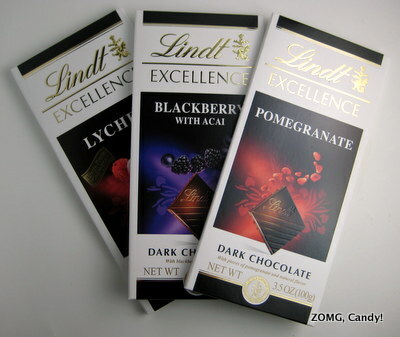 Today, I’ll cover some new fruity Lindt Excellence bars that are part of their new Exotic Fruits collection: Blackberry with Acai, Lychee, and Pomegranate. All bars were free samples from their PR peeps. Blackberry with acai was “dark chocolate with blackberry pieces and acai”. It had a soft break and a smooth melt that was broken up by tiny gummi bits. Those gummi bits were chewy, yielding a fruity, sugary sweetness with plummy jam notes and a slightly tannic finish. 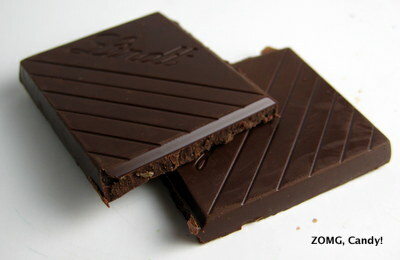 The overall flavor profile reminded me of Brookside Chococolates. 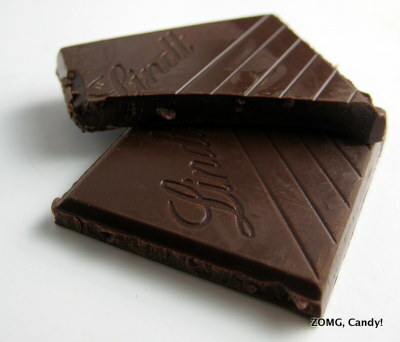 Pomegranate was similar to blackberry, a soft dark chocolate with gummi bits. Here, the sweet fruitiness was much brighter, with strawberry notes. Finally the Lychee had the same soft dark chocolate, but it didn’t have gummis. 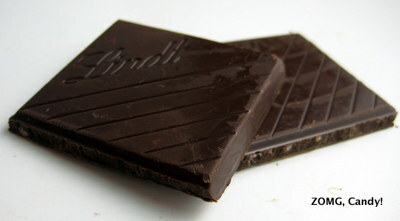 Instead, the fruit was incorporated as dried bits that added a slight grit to the bar. These bars were nice, but I’m not a big fan of fruit in my chocolate, and I found them a tad too sweet. They get an O from me, but I bet my labmates will quickly devour the leftovers. If you want to try them on your own, Lindt is giving some away this week via their Facebook and Twitter pages.